Explore Grand Teton National Park in search of wildlife on this exhilarating tour by open-air safari-style vehicle in the summer (June 15 - August 31). At dawn or dusk, you’ll get the best chances of sighting bears, wolves, elk, moose, eagles and more on your safari adventure. Your naturalist guide will ensure your enjoyment and safety, teach you all about the park’s geology and ecology, and stop along the way to let you take photos of your gorgeous surroundings. 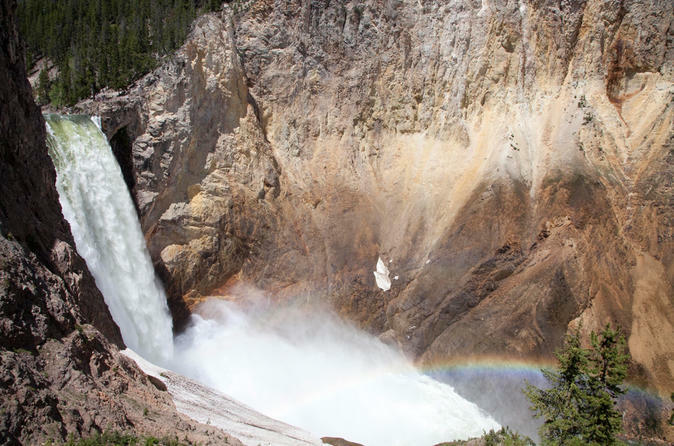 Enjoy endless views of mountains, geysers, canyons, lakes, rivers and more on this coach tour of Yellowstone National Park from Jackson. 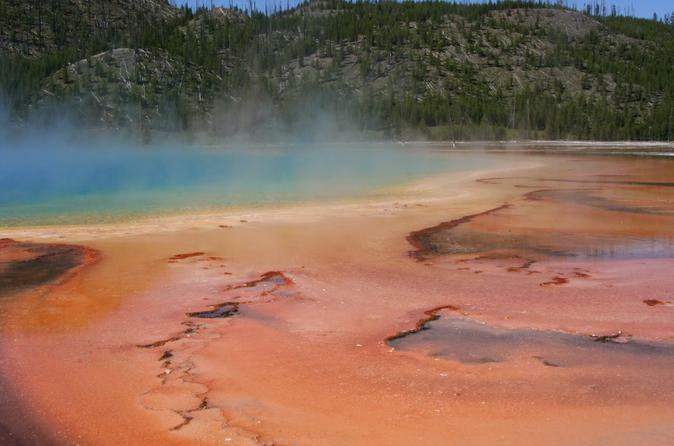 Travel through Grand Teton National Park and then enter Yellowstone for a tour of the Lower Loop’s main attractions including Old Faithful, the Grand Canyon of the Yellowstone, the historic Lake Hotel and the colorful Fountain Paint Pot. Learn about the area’s history, geology and ecology from your guide, and keep your eye out for wildlife including bison and wolves! 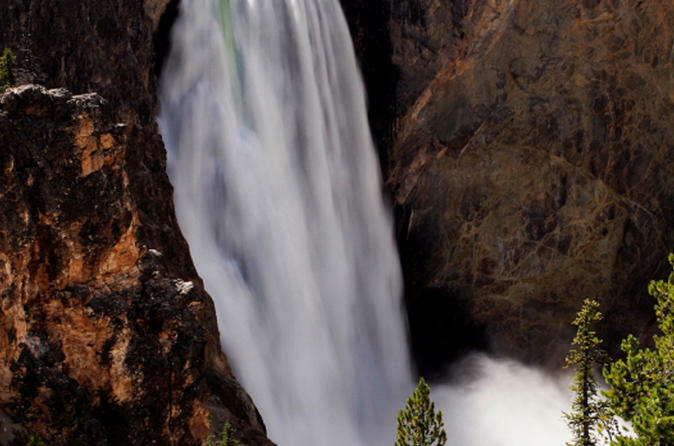 Explore Yellowstone National Park in search of wildlife on this exciting enclosed vehicle tour with a naturalist guide. In the early morning, you’ll get the best chances of sighting bears, wolves, elk and bison on your safari adventure, which takes you to world-famous Old Faithful, Yellowstone Lake, Yellowstone Falls and the incredible Grand Canyon of Yellowstone for photo opportunities. Enjoy jaw-dropping views of the rugged landscape and learn about the park’s history, geology and ecology from your guide along the way. This small-group tour is limited to 11 people, ensuring you'll enjoy a more personalized Yellowstone experience. Experience the tranquil landscapes of Grand Teton National Park on this easy day trip from Jackson. A must-see Wyoming treasure, this park offers one jaw-dropping vista after another, as you’ll see on your comfortable coach tour to crystal-clear Jenny Lake, Jackson Lake and the Snake River, as well as the Chapel of the Transfiguration and Menor's Ferry, both listed on the US National Register of Historic Places. 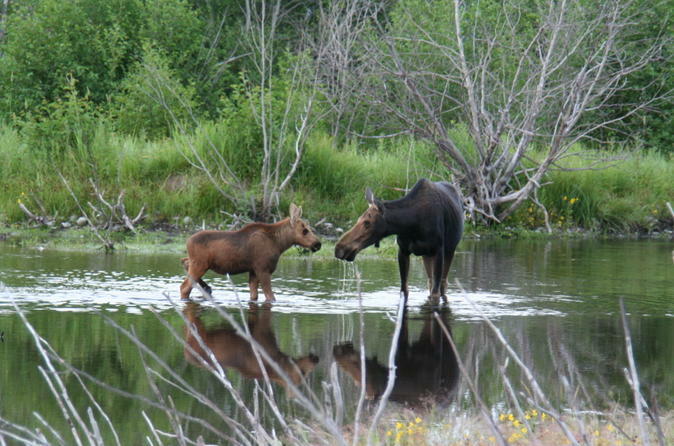 Learn about the area’s history, geology and ecology from your guide; spot wildlife such as moose, eagles and beavers; and enjoy several guided walks for a more intimate experience of this amazingly scenic area. See Wyoming and Montana’s wolves, bison, bears and other wildlife on this thrilling 4-day tour of Grand Teton National Park and Yellowstone National Park that includes accommodations and some meals. Learn about the history and geology of both parks from your naturalist guide, who will help you spot a wide range of animals on fun safari-style outings at dawn and dusk – the best times to view wildlife! Admire the stunning peaks of Grand Teton and visit geothermal features at Yellowstone including Old Faithful, always keeping your camera ready for amazing photo ops. This small-group tour is limited to 9 people for a more intimate experience. 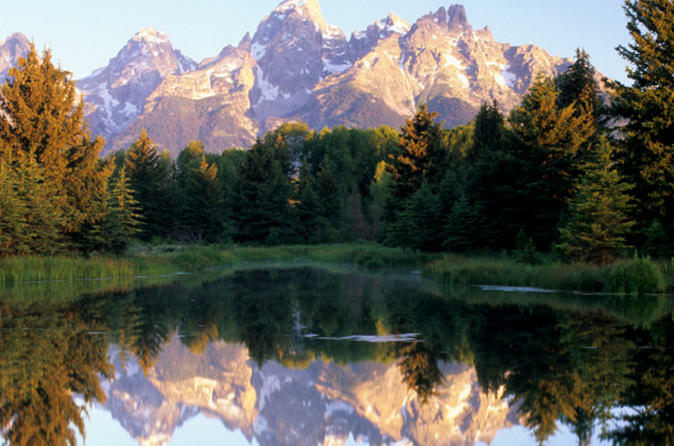 Grand Teton National Park in Jackson Hole Wyoming is a must see, even if you only have a few hours to spare. The four hour tour will visit all major points of interest in Grand Teton National Park, as well as the chance to encounter some of the fantastic wildlife that reside in the Park. 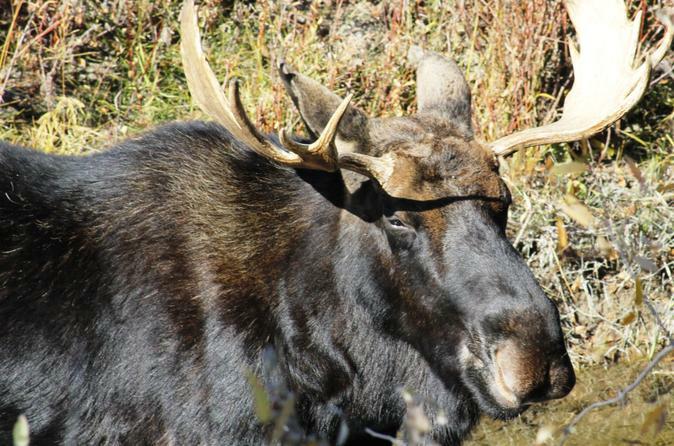 Moose, elk, bison, pronghorn, bear, and even eagles are a common site on this tour. This is a fully guided and interpretive tour. We are happy to pick you up from your place of lodging anywhere in Jackson or Teton Village. We will make arrangements to meet lodgers staying in outlying areas at a convenient location. 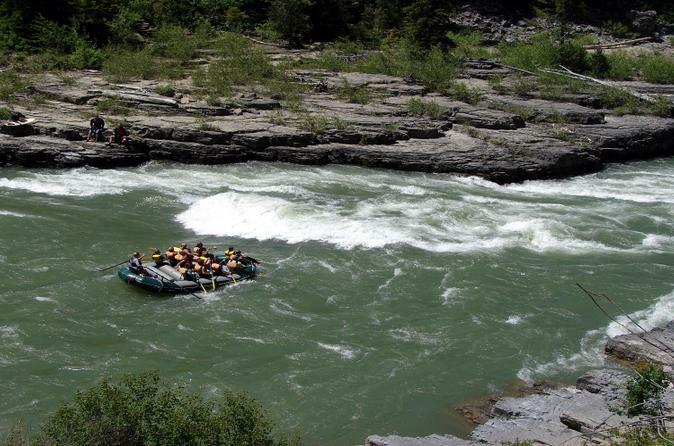 Take an exhilarating whitewater rafting trip down Wyoming's Snake River on this family-friendly tour from Jackson Hole. Learn how to paddle and stroke, and admire the breathtaking scenery of Snake River Canyon as your guide navigates the rapids. Sit in the back near your guide to stay drier or take a seat in front to get soaked by two of the biggest waves on the river -- nicknamed Big Kahuna and Lunchcounter! This 3.5-hour adventure — appropriate for both children and adults and all skill levels — includes equipment and hotel pickup. 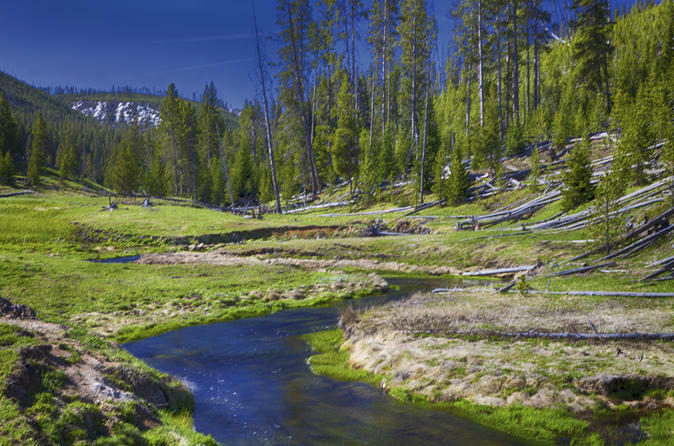 Join your guide on a wildlife photo tour of Yellowstone National Park. 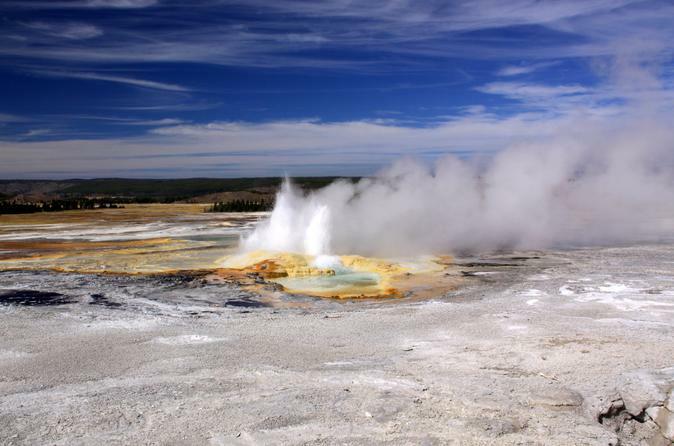 Your group will focus on the geology, wildlife, and natural history of Yellowstone National Park while customizing the safari around your specific areas of interest. Get ready for unforgettable sightings of the bears, moose, bison and wolves of Wyoming and Montana on this 2-day tour of Yellowstone National Park and Grand Teton National Park, with overnight hotel accommodation included. Admire Old Faithful in all its glory, view the majestic Upper and Lower Falls of Yellowstone, and marvel at the colorful landscapes of Mammoth Hot Springs. Your knowledgeable guide will detail the fascinating history and geology of these venerable parks and help you spot the many animals that roam freely in this incredibly scenic area. This small-group tour is limited to 10 people to ensure a more intimate experience. Important note: Hotel stay within the parks is not guaranteed for bookings made within 30 days of the date of travel. Accommodations will be made at hotels outside of the park. Your Grand Teton National Park tours will begin from Jackson Hole and lead you into the beautiful wilderness of Grand Teton National Park. 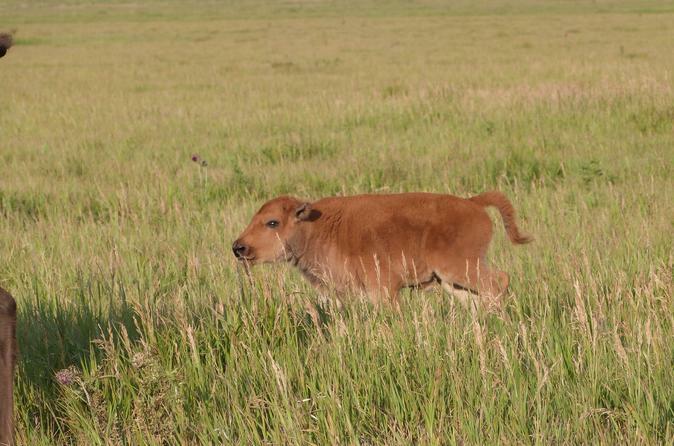 Keep a lookout for bears including Grizzlies, elk, moose, antelope and buffalo. Just follow the self guided tour as it leads you precisely mile by mile, it will save you time and you won't get lost.